Zeke’s Marina is the perfect place for your next saltwater fishing adventure. With the largest charter fleet on Alabama’s Gulf Coast, Zeke’s has the right trip for every angler at every level of experience. The family-friendly charter office will help you find the right boat and captain to meet your needs. Zeke’s has teamed up with other local businesses to offer visitors to the Orange Beach area a superior product at the best value available. Downstairs restaurant by the docks at Zeke’s. Home-style Southern cooking, seafood and a casual family-friendly atmosphere. “You hook ’em, they cook ’em!” They will cook your catch for $14.00 and it includes sides. Located next to Wolf Bay Lodge. Cha Cha’s carries T-shirts, beach apparel, jewelry, gifts and much more. 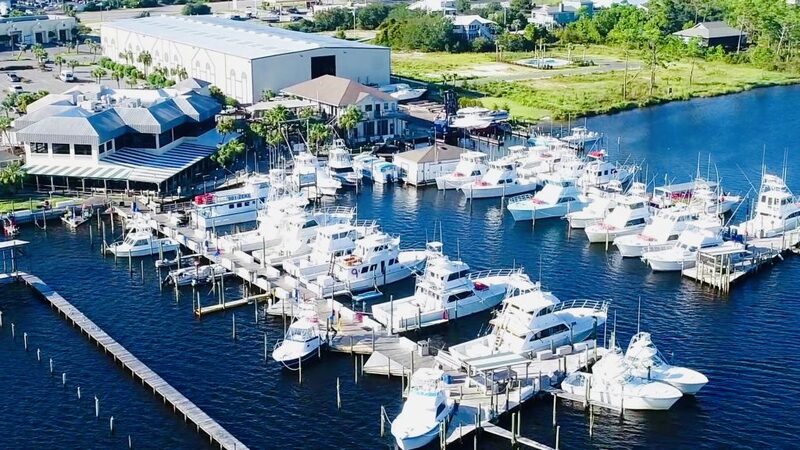 Zeke’s Marina is home to one of Orange Beach’s premier dry storage facilities, designed to provide safe and secure storage for your boat. We have all of your boating and fishing needs covered. Snacks, drinks, beer, sunscreen, fuel, bait and ice are all available. We also have a variety of Zeke’s apparel, hats and towels.